To celebrate, today I spent several hours working on an editing job. Funny how un-resentful of losing part of my weekend I was, when there was NO MONDAY AT THE BANK waiting for me. Acres and acres of weeks of near-freedom lie ahead. That should keep me busy for 5 weeks, no? See how neatly I saved a couple of characters in that heading? Tender Morsels is astonishing. Like being in a Bruegel painting trying to breathe thru brown wet wool. But in a good way. This has been a shameful lapse in blogging. It's been a pretty straight month, though, nothing much to report except a night out with Harry at the Pilobolus Dance Company's show, and the QUT talk, which was good if modestly attended. The 15 people who did come were very responsive, though (meaning, they kindly laughed at all my jokes). A weekend in Sunny Corner, one day rainy, one day sunny—that was good, too. And then, this weekend (which I should have reported on on Thursday, rather than today, eh) was the Sydney Writers' Festival, and so much writerly stuff happened all at once that it nearly blew my head apart. Oh my goodness, there is this world, too! So, I was on three panels: 'Children's Literature for Adults' on Friday at lunchtime (nipped down from the bank to be on that one—felt so conveniently local!) with Visiting International Publisher Sarah Odedina and Visiting International Children's and YA Scout John McLeay. Then yesterday I did 'Don't Tell the Teenagers!' with Tobin Anderson and Mal Peet. I had thought both Tobin and Mal might be slightly terrifying (just finishing Octavian Nothing II as I am and being all awed and impressed, and having seen only Tobin's earnest author pic, and being in the middle of Mal's smart and worldly Exposure, with his rather fierce author pic on the back flap), but they were both delightful, and the panel was another hour-that-whipped-by. Later (after a lunch the highlight of which was the venerable MT Anderson telling the Silliest Joke in the World), I finished off with 'It's All Formulaic', which was about genre vs. literary fiction, and John Flanagan (of the Ranger's Apprentice series and a new crime novel) and Laura Lippman (a mystery author from Baltimore whom we'd already met at the Richmond Grove Wine and Words dinner on the Thursday night—oh yes, there was that, too, for eventfulness) and I tore apart anyone who would dare criticise our various specialties, for their snobbery and ignorance. So that was jolly. I'm on 2! Tender Morsels for Best Novel and 'The Goosle' for Best Short Story. Plus indirectly for a third, with Jack Dann's Dreaming Again and Jonathan Strahan's The Starry Rift being listed for Best Collected Work. Cheers to me, and to all other shortlistees! I will be giving a talk about my writing life so far, at 5pm this coming Monday, at The Glasshouse in the QUT Creative Industries Precinct at Kelvin Grove in Brisbane. It's been set up for the Creative Writing students there, but members of the public are also very welcome, so please come along if you're at all inclined. by Jeremy Caniglia, is now circulating, and the commenters on Dark Wolf's Fantasy Reviews think it's more representative of the contents than the Knopf cover. What do you reckon? As to the pleading “Did she have to make it so horrifying?”, my answer is… yes. I’ve discussed above how in a way, it isn’t really that “horrifying”, because of the way that it’s told. 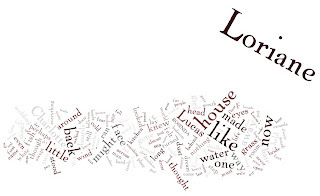 But for the book to work, what happens to Liga has to be the worst thing one can imagine. And then something else terrible has to happen. Ultimately, I promise, this book is wise and uplifting. It doesn’t leave the reader thinking “the world is a terrible place”; it leaves you knowing that the world is a place where terrible things sometimes happen, but people thrive. Does anyone need to hear this message more than teenagers? I was hesitant about Tender Morsels ... At the end of this book, I was a soggy, crying hot mess, complete with tissues and fogged glasses—for good reason. Tender Morsels will break your heart and then repair it and then break it again and this cycle continues through the end of the novel, so bittersweet and lovely. The dwarf in this story is just a complete douchebag, and I loved all the scenes with him, Branza and Urdda because they were so very different from each other. I loved this novel for its realism and roughness as well as the fact that it didn’t shy away from the dirt, grime, and crime of the world. It fundamentally strives to illustrate how hiding from life and living a watered down and safe existence limits one’s chances for happiness much more so than it protects. 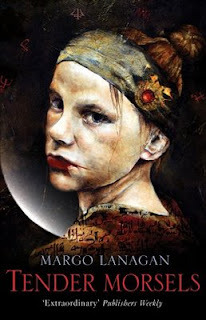 Margo Lanagan is a true storyteller in the finest sense of the word. You won’t soon forget the worlds and characters she weaves in Tender Morsels. Oh, and I'm writing a Gothic story. I have a chunk that works and a lot of other chunks that kind of skate close to what I want to do, but don't quite touch it. Off to Draftbusters this weekend for a bit of morale-boosting. OK, all linked out now. Phew.